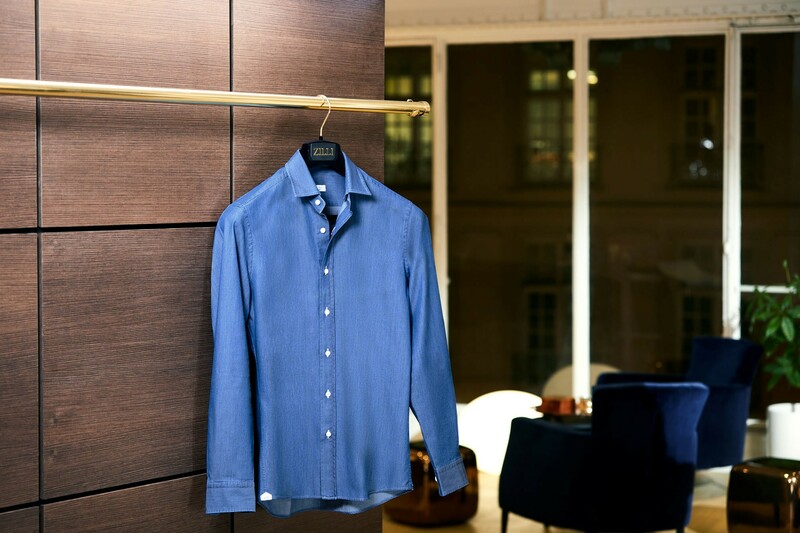 ZILLI has reinterpreted a menswear classic: the Indigo denim shirt. Long sleeves, straight cut, mother of pearl buttons, and a removable double collar. Choose the modern Mandarin collar version or the casual version with a small Italian collar. 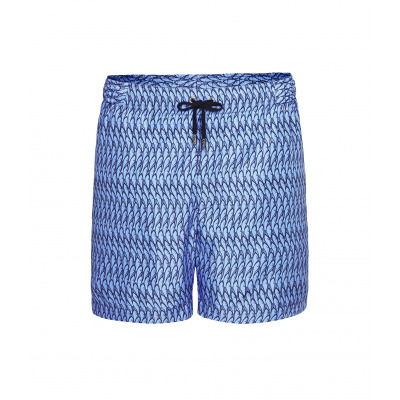 In indigo blue washed cotton, wear in open over a T-shirt for a relaxed look or with chinos for a more formal look. 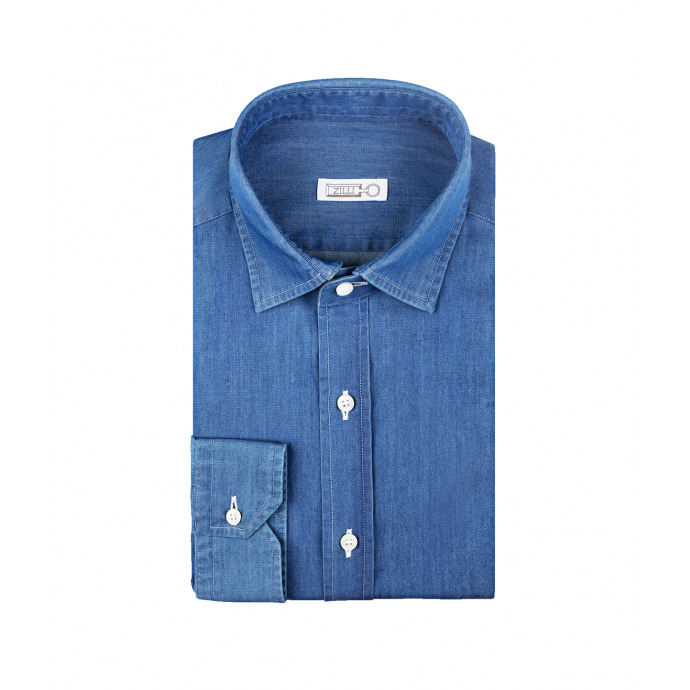 "description" => "<p>ZILLI has reinterpreted a menswear classic: the Indigo denim shirt. Long sleeves, straight cut, mother of pearl buttons, and a removable double collar. 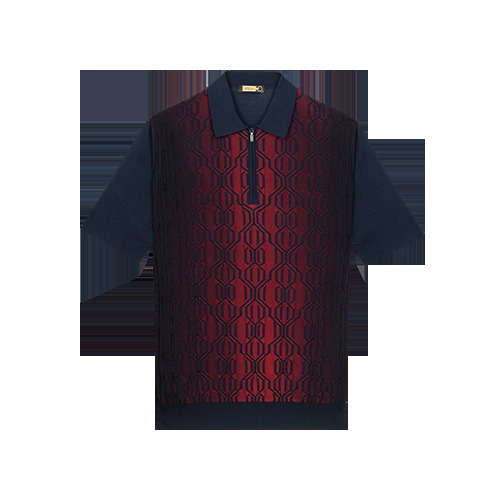 Choose the modern Mandarin collar version or the casual version with a small Italian collar. 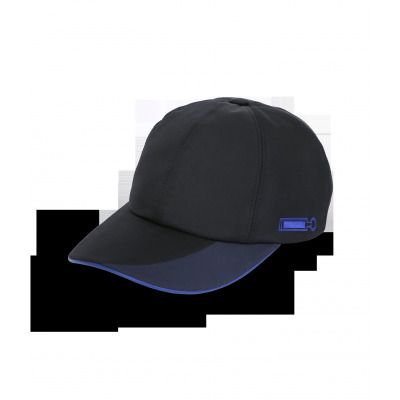 In indigo blue washed cotton, wear in open over a T-shirt for a relaxed look or with chinos for a more formal look.</p>"
"description_short" => "<p>In denim cotton</p>"